 TSC will be adding more of the “off air” QAM channels so our customers will be able to view even more channels in High Definition without the requirement of having a Set Top Box. In order for the QAM channels to be viewed, you must have a QAM Tuner built into your television. How do you know if you have a QAM tuner? You may ask the associates where your purchased the television. If they do not know, your manual “may” indicate that you have this included. If not, you can do a channel scan on your television and if you are able to see channels with a (.1) or (-1) after the main number, you have a QAM tuner. For example, ESPN is Channel 17. For a customer with a QAM tuner, this can be viewed on 17.1 or 17-1 in High Definition Quality without the Set Top Box. If you do not have a QAM tuner, you are able to get a set top box from TSC to view the channels in digital or high definition. Please call our office with questions.